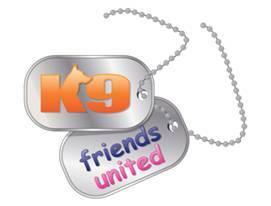 K9 Friends United-Started from the cab of a lorry! K9friendsunited.com.... Started from the cab of a lorry! Diarmuid Scullin does not own a dog but two years ago while stopped at a cross walk near his home in Ireland he kept noticing all the dogs and being a dog lover was hit with an idea- I met Diarmuid through Linkedin and when he called me to tell me his story I was so impressed by what we all can do and the fact he had never even own a computer after two years of self taught work and a passion none of us can deny he launched the first social network in his home land of Ireland ! I hope you all enjoy Diarmuid’s story and new site. My name is Diarmuid Scullin I am a long distance lorry driver from Northern Ireland, I have no formal training in computers or web design and wait for it I don’t even own a dog, yet I have created a Dog Social Network. I have no funding, no sponsorship and no backing from any Multi-National company. I planned, written and sketched it all out on bits of paper and then put it together on a second hand laptop that cost £95 and my office (No, not in Silicon Valley) rather the cab of my lorry. It all started one morning when driving through a small village, I stopped to let a lady who was walking her dog cross the road and at the same time a man crossed the road in the opposite direction with his dog, they both nodded to me in a token of thanks and went their different ways and I continued on my way. After that as the weeks went by on my long haul journeys throughout Ireland the UK and Europe, I began noticing that people out walking their dog were always walking on their own, it was a rare occasion when I would see two people walking together or even stopping to talk to each other. For the next few months as I drove along I used to pass the time and see how many I could count out walking dogs in a day. One evening I was parked up in a lay-by having a break, I was listening to a programme on the radio which was about the internet and social networking sites mainly facebook, twitter and a few others. They were talking about how these sites brought people together that otherwise would never have met and how they could talk to each other online, become friends, swap stories, photos, videos and chat about whatever. As I sat there and still listening to the programme I was looking across at a field opposite where I was parked. In the field were quite a number people of all ages out walking their dogs, again the majority on their own. I began thinking if what they are talking about on the radio was true that social networking sites could bring people together surely then if there was one of these social networking site for dog owners it could do the same for them. I had thought beforehand that maybe because of time or other commitments some dog walkers didn’t have time to stop and chat so one of these social networks could be a nice way for them to get to know each other when they had time; they could make new friends this way, arrange to go out on walks, swap stories, photos and above all chat to like minded people about their dogs, in fact it could open up a whole new world for dog lovers everywhere to unite and make friends. All I knew that any dog owners I’ve ever met were very warm and friendly people and always loved to talk about and show you their dogs, so a wee site like this might come in handy for them also it would be a whole new learning experience for me, it would help pass the time and give me something to do when I was parked up. So there and then at that moment in time I said to myself, I will try and make one of these social networking sites. The only problem I had and a major problem at that was, I simply had no idea not a single clue of how or where to begin. Let’s face it not only had I no computer, I wouldn’t know how to use one if I had. Then a reality check sort of hit me a kick on the backside, should I knock the idea on the head or should I give it a try, not one for giving up I decided to go for it. As the weeks and months went by I bought loads of computers magazines and read into the making of web sites, then I would put all my ideas and drawings down on paper of what I thought my site would turn out like. A friend got me the names of a few web developers whom I went to meet and told them of my intended plans. Their reply to say the least wasn't very encouraging; when I showed them my plans and drawings of what I wanted to do they said it couldn’t be done and what I had in mind simply wouldn’t work. They told me outright and straight to my face that not alone was I stupid but the whole idea was stupid, who in their right mind would make a social networking site for dogs, actually on one occasion I was laughed out of an office. Undeterred and rather let down I decided to do it myself, I bought book after book, magazine after magazine, every night when I was parked up every spare minute I had I would spend hours studying and then hours going through it all in my mind trying to make sense of it. I knew in my heart I could do it all I had to do was make the impossible possible, giving up was not an option and certainly not one I was going to do. I knew it wasn't going to be easy and by God I was right, it wasn't. I probably could write a best selling book on how not to build a web site. Finally after 2 very long hard grueling years of endless reading, researching, studying and making some of the most really awful and woeful mistakes k9 friends united finally made it onto the World Wide Web and the response well absolute shock to say the least but at the same time I afforded myself a wee smile. Not only are dog’s man's best friend but also women's and children's as well. 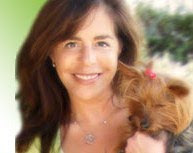 My core principal for k9 friends united is to be a happy, fun and friendly place where dog owners from around the world can unite together make friends and share the passion and the love for their dogs and above allshow the world their unbreakable bonds with their much loved pets. From the expert to the novice everyone is welcome.